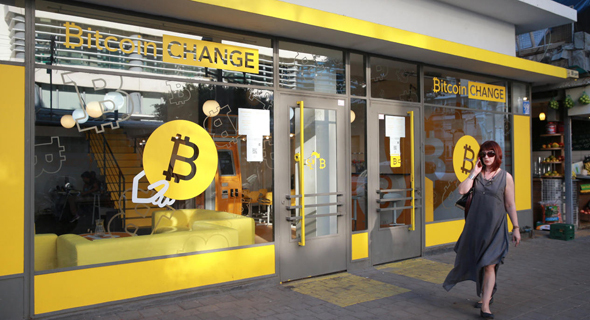 As of June 1, brokers, banks, money changers and cryptocurrency trade and commerce platforms in Israel will be obligated to report any suspicious cryptocurrency activity by their clients. In a legislation draft dated May 23, the Israel Money Laundering and Terror Financing Prohibition Authority has proposed several red flags which will require disclosure. The draft, which is open to public purview until June 13, specifies 37 money laundering red flags, among them large sums of over NIS 5,000 (approximately $1,400) transferred to a digital wallet; any money transfers made using an anonymous IP address or an address that is incompatible with the geographic origin of the connection; cryptocurrency transfers to online gambling sites; and any activity in anonymous cryptocurrencies such as monero or zcash. The draft also states service providers must maintain full documentation of cryptocurrency activity, which includes all parties’ digital wallet addresses, IP addresses, and the type and amount of currency, for a period of no less than five years. This is the first time the Israeli government has attempted to set clear guidelines for the management of cryptocurrency-related funds. In the past, Israeli banks have been reluctant to accept large deposits of cryptocurrency-related earnings for fear of money laundering. Earlier this month, after receiving a recommendation by a Tel Aviv district court, one of Israel’s largest banks, Hapoalim, has agreed to accept a $200,000 deposit of bitcoin earnings in what might become a legal precedence. Often, when banks refuse to accept cryptocurrency, they claim it is due to lack of regulation, Meni Rosenfeld, chairman of the Israeli Bitcoin Association, said in a statement. “The bill will give regulatory assurance and define what is allowed and what is prohibited, allowing banks and financial institutions to know who is compliant with the rules, and whose money they can accept,” he added. Two weeks ago, the Israeli state comptroller Yosef Shapira, who oversees the policies and operations of the Israeli government, announced that the prime minister and his cabinet members should avoid using cryptocurrencies, as long as the matter remains unregulated. Last week, the department of cybercrime at the Israeli State Attorney’s office filed an indictment against a Hebron resident for carrying out more than 20,000 fraudulent credit transactions, valued at over $280,500 (one million shekels). In a precedent, if he is convicted, the state attorney will ask to confiscate the defendant’s crypto wallet containing 1,071 bitcoins, which he allegedly used to launder the money he made through fraudulent activities.